Get your own secret diplomatic cable and make it public! While the world is concerned with how the recently leaked diplomatic cables will affect and shape the openness of the Internet, the future of freedom of speech, and the multilateral relations of the United States, OSA sets an example of how to handle and make publicly available historical documents of the very same type. OSA digitized from its library holdings over 10,000 declassified confidential or secret U.S. diplomatic cables and State Department documents on U.S.-Soviet relations in 1955-1959, including instructions and correspondence received from and sent to diplomatic posts abroad, minutes, memos on informal communications, letters and translations of foreign documents. 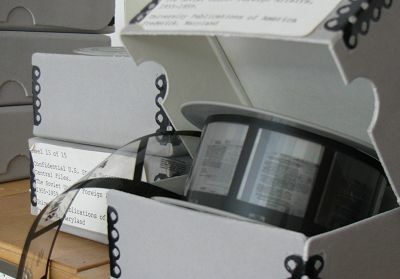 OSA is now seeking volunteers to make these documents available online for the first time in the Parallel Archive, an alternative archival space for collaborative work which allows its users to store, manage, easily access and share digital copies of historical material from archives, as well as tag, comment and discuss them. Help disseminate and be among the first to upload to the Parallel Archive incoming telegrams, foreign service dispatches or outgoing circulars! Help the public see, read, study, and understand these important historical documents, help make the recent past transparent! Request documents by using the below form. (We will not store, process or sell your e-mail address.) Then register with and upload them to PA (www.parallelarchive.org). It will take only 15 minutes of your time. Thank you.